If there’s one item I can’t resist adding to my wardrobe every spring and summer, it’s a romantic, lacy, boho blouse. Gimme all the eyelet detailing, the crochet lace, the scalloped edging and the flowy silhouettes. 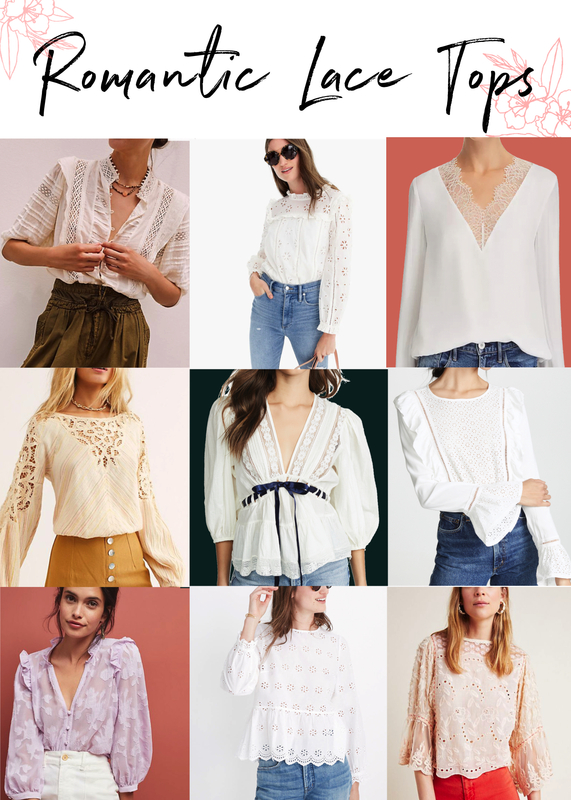 Every spring, brands like Free People, Madewell, Anthropologie and J.Crew come out with new tops, and every spring I keep buying them. Here are just a few of my absolute favorites. 1. 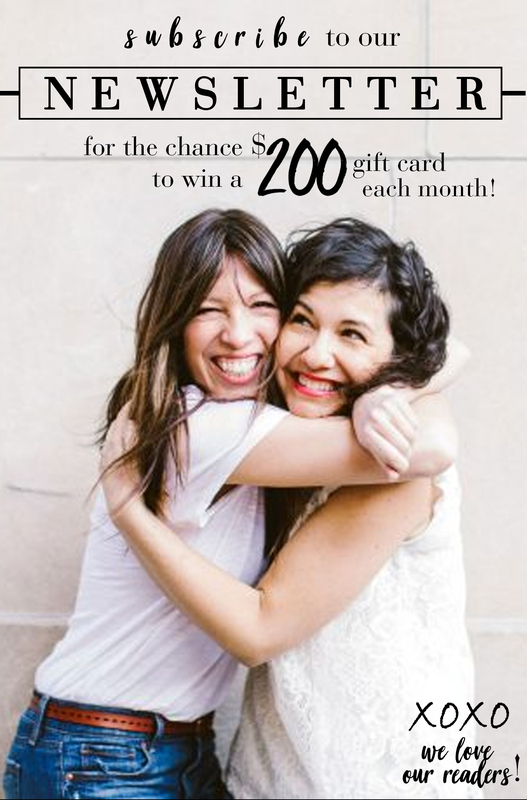 FP One Rosalind Top – Free People, FTW. They’ve got sooo many gorgeous boho-chic tops to choose from. Their Rosalind Top is the ONLY button-down lacy top that I found while searching for romantic tops. It also comes in black, which I LOVE, as well as Olive and a Deep Pink. Reviewers say the Ivory version is a little sheer but TTS. 2. Funnelneck Shirt in Eyelet – One of J.Crew’s highest-rated bestsellers! 3. The Leandra Top by CAMI NYC – This the top that has been inspiring my love of all things lace lately. I love it soooo much. It’s 100% silk and has an elasticized hem and cuffs. 4. Floating Memories Blouse – I am obsessed with the cutout lacework and the balloon sleeves on this Free People top. It’s 40% off at Nordstrom. 5. Favorite Romanic Tunic – My new favorite top, like ever. I’m anxiously awaiting this one to come in the mail. 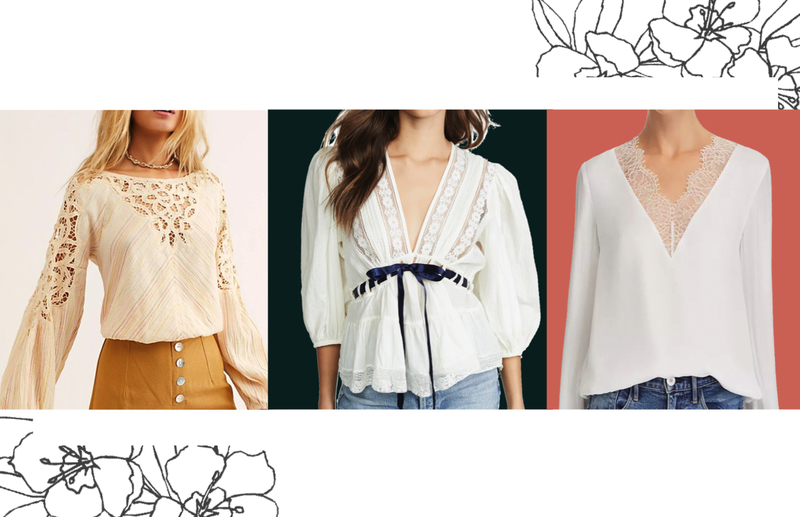 This top has everything I love in a boho blouse: tiered hem, laddered waist, balloon sleeves and crochet lacing, but it’s the ribbon lace that got me. I have yet to see a top like it. It comes in three other colors, each as perfect as the previous. The gorgeous Rose colored option is also on major sale at Belk, the light blue version is available here and the top in light yellow is 25% off at Bloomingdale’s. 6. BB Dakota’s Eyelet It Happen Blouse – This blouse has some great reviews on Amazon, and I love the pleated peplum. Plus, it’s a great price and fully stocked. 7. Mallory Lace Blouse– Lavender is my favorite color for spring/summer 2019; I just can’t get enough of it. This is one of my favorite tops. It’s sweet and feminine, but also super-comfortable and the reviews are terrific. It’s hard to tell from the pic, but it is sheer so will need to be worn with a cami. 8. Eyelet Keyhole Peplum Top – I love Madewell’s eyelet blouses, they’re so cute AND comfortable. 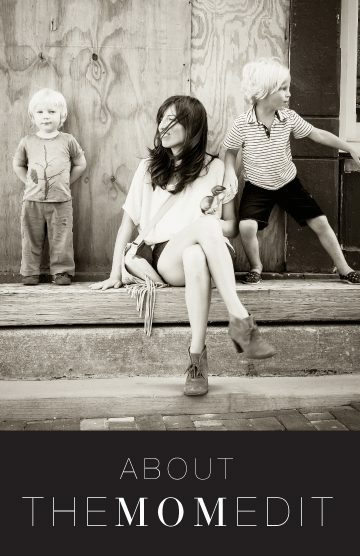 People are raving about this top on Madewell. It’s lightweight but high quality – the perfect springtime top. It also comes in black and in red, and it’s on sale! 9. Taormina Lace Blouse – The lace and eyelet work on this gorgeous blouse, exclusively available at Anthropologie. It is so detailed and gorgeous. The wide, ruffle sleeves give it an extra boho-chic vibe and will keep you cool during the Summer. I just ordered the Mallory Lavender Lace Blouse yesterday after lusting after it for the past week. I think its the perfect blouse for Spring! The picture for #6 does not at all match the picture on Amazon – am I missing something? But how do you wear a bra with these? Makes for strange lines showing thru, no? Prefer to see posts with pics of you guys wearing the “can’t resist buying” item vs. just linking us pics we can find online. Let’s see what you bought on you and how you styled it. That’s what I come here to see. Marnie, a layering tank like this one:https://rstyle.me/+y7NMTdtUwzAh6qw7bsd-xQ will do the trick! I also like wearing a spaghetti strap bodysuit like this one: https://rstyle.me/+7yrIjzu1j9lLlLJplJuW9Q underneath, that way I don’t have to worry about my tank becoming untucked. Meg, I ordered a bunch! I’ll let you know how it goes! Thank you for your picks, I ordered the first featured buttoned blouse. It has an Out of Africa / Isabel Marant-ish vibe for me, which I love.